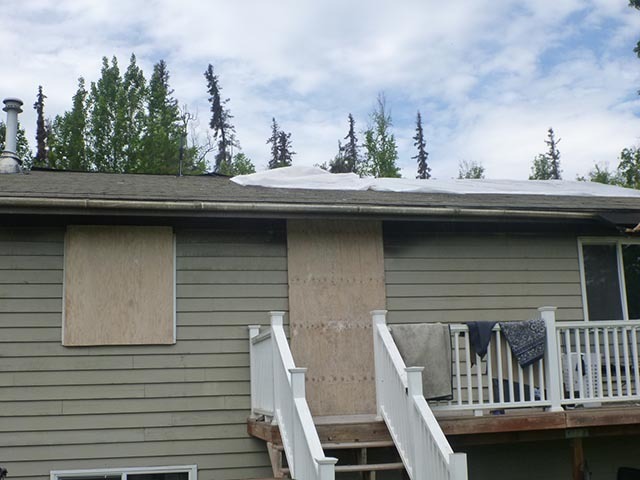 TCM Restoration & Cleaning is a full-service fire damage restoration contractor serving Anchorage and Mat Su Valley. We are licensed and certified to perform fire damage restoration services for homeowners and business owners. We are here to help. From start to finish, we will be here for you. We can take care of it all, from the initial board-up to the complete reconstruction of your property and the cleaning of all your contents. 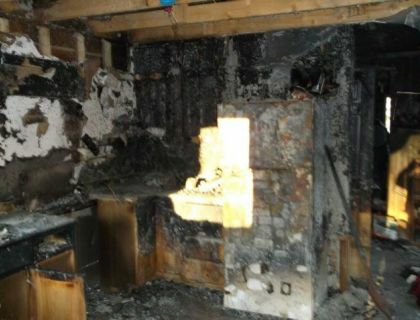 Do not hesitate to give us a call, day or night, if you are in need of fire damage restoration services! 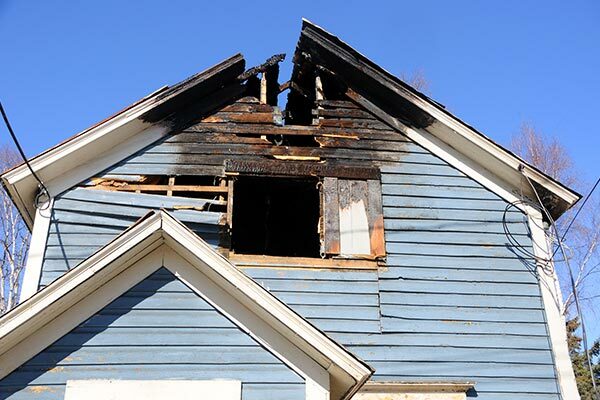 Damage from a fire can leave your property exposed to the elements and to the outside world, putting your home or business at risk for further damage, theft, or vandalism. At TCM, we provide emergency board up services to help you protect your home and avoid any more damage. When you call TCM, we can be there within 90 minutes to board up any openings and secure your property. We will board up any unsecured windows and doors, cover any openings, and apply a tarp to cover any damage to your roof. After your property is secure, we will complete an initial damage assessment and develop a plan of action for the initial cleanup and fire restoration work. We focus on minimizing the damages while streamlining the restoration process so your property is restored as quickly and efficiently as possible. TCM will be there for you every step of the way from start to finish. A fire affects much more than just the physical structure of your building. Everything located inside the building is affected as well. 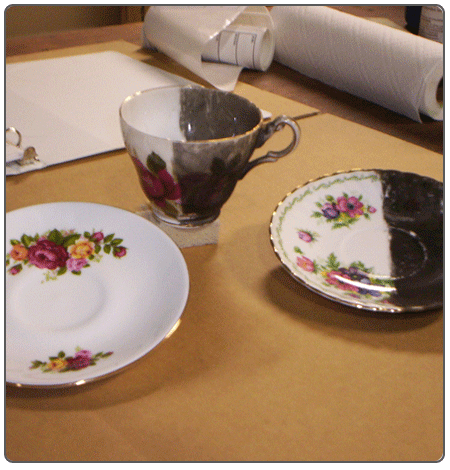 We understand how important these items are to you and the concern you have for your irreplaceable items such as family photos, important documents, heirlooms, and artwork. More importantly, we know where to begin. Dry chemical sponging absorbs harmful soot and residues prior to wet cleaning. Wet cleaning lifts heavier soils as well as smoke and odors. Soda blasting is a deep cleaning method used in place of chemicals to remove odors from fire damage. Reconstruction is based on our initial assessment and planning process. We offer the highest level of reconstruction and restoration services to completely restore your property back to its pre-loss condition or better. TCM Restoration & Cleaning is there from start to finish, ensuring your property is restored as quickly as possible without sacrificing quality. We work with all insurance companies. We are here to help you as we have helped many others in your situation. We have years of experience in restoring property, restoring hope. Contact us today! It is natural to want to begin to clean up and move forward. There are actions that are helpful to you and some that are actually more damaging to your situation. Please read the guidelines below to help you determine your next steps. Call a licensed professional to secure/board up your property from further damage. If renting, immediately call your landlord. Call your insurance company to report a claim and check your policy. TCM can be your advocate and plays a beneficial role with insurance companies. Contact a trusted restoration contractor, this may or may not be the same company that secured/boarded up the property. Open some windows to ventilate the property, but consider weather conditions (rain, freezing temperatures). Discard all foods where soot is found or foods that were exposed to heat from the fire. Empty freezer and refrigerator completely. If electricity is off, prop open doors using a rolled up towel. Wipe or wash walls, ceilings, carpeted or hard floors or any other surfaces. Soot and ash contain chemicals that can be dangerous to your health and should be removed carefully by a professional. Use affected electronics including TVs, radios/stereos, etc. until cleaned and checked. Use affected upholstered furniture, if possible. Clean affected clothing with ordinary cleaning products or dry-cleaning. Consume exposed food, including canned food, which has been affected by excessive heat.